Our old Sport Cubs were the first into Australia! The original Sport Cubs have now moved on, But not to worry we now have our new generation Sport Cub 24-8058. 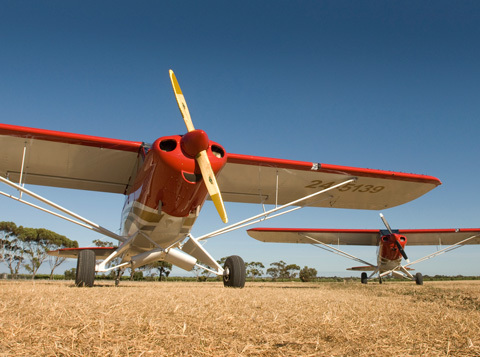 Driven by our passion for classic style tailwheel aeroplanes, these have added the option of training for your RAAus Licence in an aircraft loved by all those who have flown them. 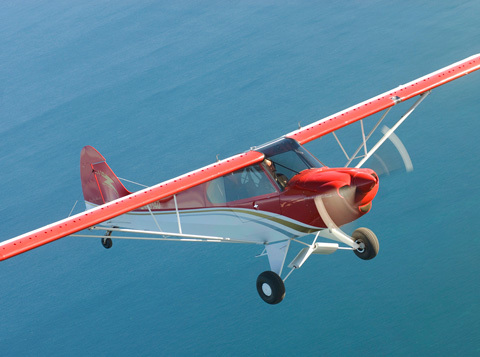 Built by CubCrafters in Yakima, Washington State in the north west USA, this little aeroplane is essentially a 90 hp Super Cub, but somewhat improved and lightened to fit into the exciting new Light Sport Category of aeroplane. The aircraft is true to the original design, with only a few ‘improvements’, such as the re-positioning of the flap handle to a more ergonomic location, toe brakes instead of heel brakes, larger door opening for easier access, 4″ wider fuselage to accommodate those of us that are now slightly more portly than we once were! 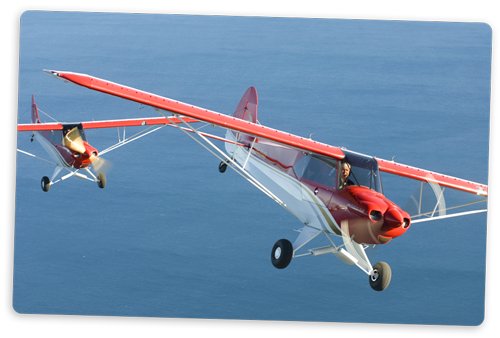 The aerodynamics remain as per the original much loved Piper Super Cub, although vortex generators are now standard to give even better slow speed handling. 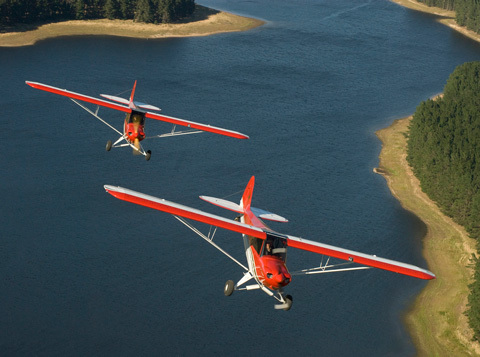 The sweet handling , docile qualities of the Cub are legendary, and it is particularly pleasing to note that although often copied, the Cub has never really been beaten for pure fun flying. Slow up, open the doors, and potter along the beach on a warm evening in that beautiful smooth sea air… How good is that? Even better though, future plans include using one of these aircraft on floats. Just imagine combining two of life’s pleasures, flying and boating into one awesome experience! We plan to offer floatplane endorsements and advanced training, for at least part of the year, once again another first for South Australia. CubCrafters have an excellent website.